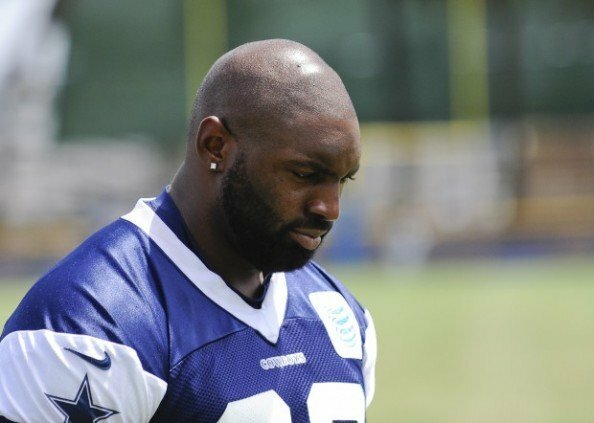 The Dallas Cowboys contemplating releasing Jay Rattliff during the offseason, but decided, despite his rather big contract for mediocre contribution, to keep him. Now, he’s likely to be on the PUP list at the start of the season, but with Nick Hayden and Jason Hatcher doing a very good job at defensive tackle, it really isn’t such a bad thing for the Cowboys. Rattliff was supposed to anchor the Cowboys’ 4-3 defense, but that was part of some wishful thinking that ignores his recent injuries and decreased quality of play. Hayden and Hatcher have been getting the first-team snaps for the Cowboys in the middle of the defensive line, and have been doing a very good job at it. They performed very well against the Cincinnati Bengals in the preseason game. Both of them got three stops against running plays, which Steve Palazzolo of Pro Football Focus gets into more detail about. They aren’t immovable objects by good offensive lines, but they seems to be quite adept at stopping the run, which was a problem for the Cowboys last season from time to time, especially in the deciding game of the season, as they failed to stop the Washington Redskins. Rattliff, when he does return, still seems to be the player the Cowboys expect to start, with Hatcher most likely playing alongside him. Hayden, for now, is simply establishing himself as a very valuable backup, but there’s more than a slight chance he’ll keep the starting job if by the time Rattliff gets back from his injury, the Cowboys won’t have missed him too much.